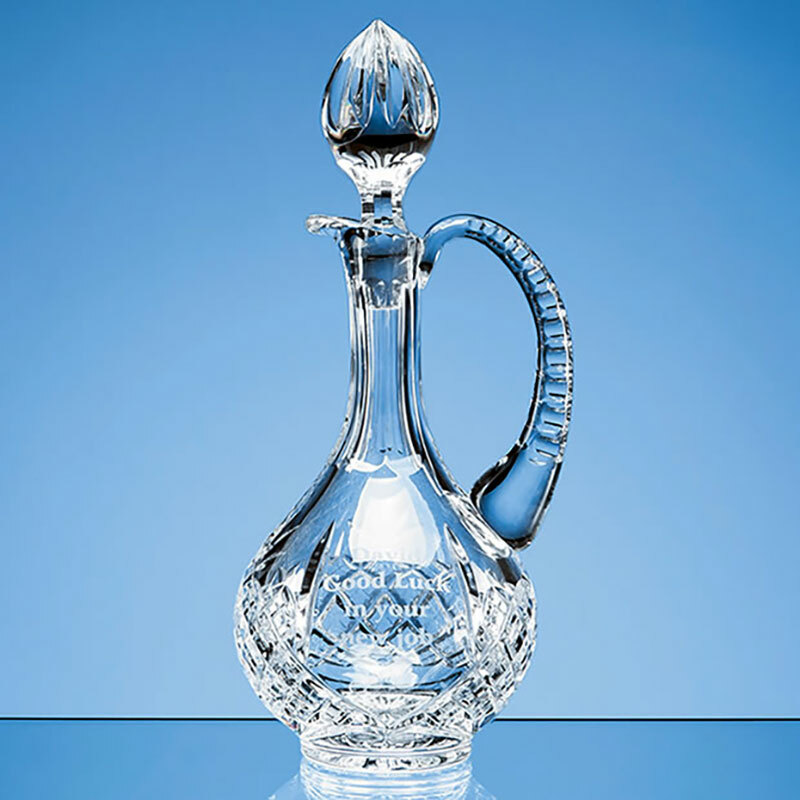 A classic claret jug crafted in quality lead crystal and featuring cut decoration on three-quarters of the body and a blank panel for engraving. Includes an attractive oval shaped stopper. Optional satin lined presentation box available. Capacity: 0.5ltr. These classic claret jugs are crafted in quality lead crystal and have a capacity of 0.5ltr. The lower body of the jug has cut glass decoration with a blank panel for engraving. 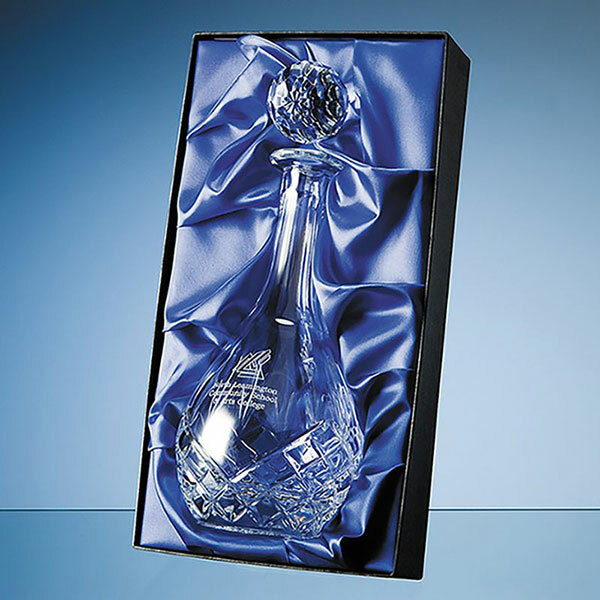 These tall decanters include an attractive oval shaped stopper and provide a traditional presentation item for personal or corporate achievement, or for landmark occasions. They are offered with an optional satin lined presentation box. Capacity: 0.5ltr. Weight: 1.5kg. Height: 290mm. Diameter: 120mm.